Cover Reveal For "World's End" (Book 3 Of Pendulum Trilogy) By Will Elliott; Dragons, Baby! In less than a year we will finally enjoy the epic finale to the Pendulum Trilogy, World's End. 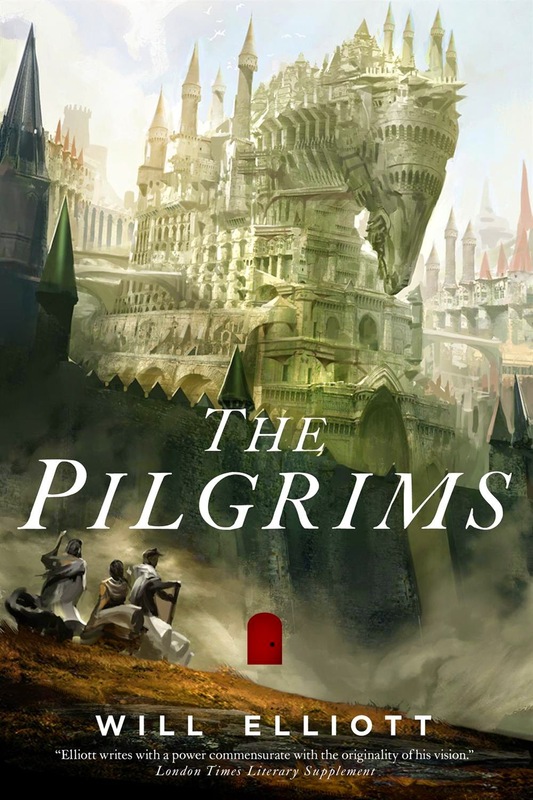 And as early as now we could already glean on what may happen in the next instalment of the series through the not so spoiler cover, which has been unveiled just recently. 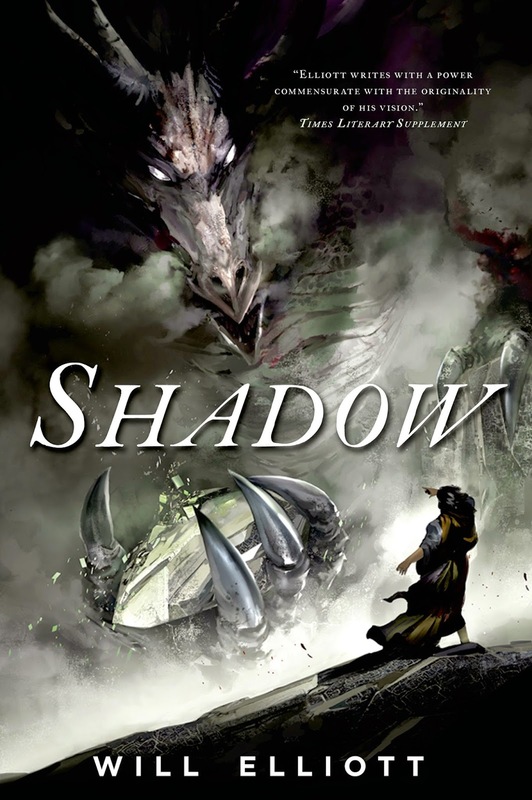 It's still a long wait, but it gives us a chance to reread the just released second book in the trilogy, Shadow, which was released a few weeks ago. And possible still it gives as a chance to reread the earlier or first two books to solidify theories and add to your list the loose ends that you are excited to be addressed in the final book. 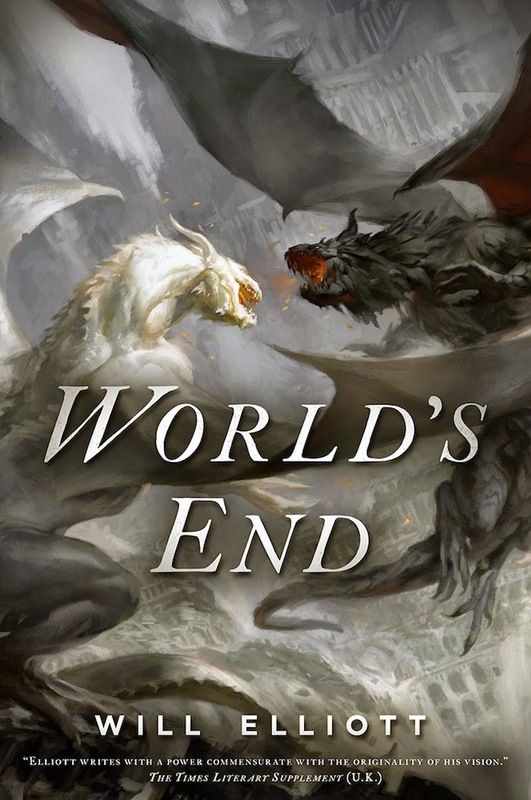 Check out the cover of World's End by Will Elliott. The newest book in Will Elliot’s evocative fantasy triptych. When Eric Albright, a luckless London slacker, and his pal Stuart Casey went through a battered red door under a railway bridge, the last thing they expected to find was another world. There lay the strange, dark realm of Levaal, whose tyrant lord Vous has ascended to godhood. The great wall which has divided the land has been brought down, setting loose a horde of demonic Tormentors. In their sky prisons, the dragons are stirring, set to defy their slumbering creator and steal humanity’s world. Shilen, a dragon who hides in human form, has convinced Eric and Aziel, Vous’ daughter, to help free the dragons from their sky-prison, or Earth will be destroyed. She promises great power, and safety for all Eric’s ‘favored’ people—but Shilen has an ulterior motive, for the dragons wish to control humankind completely. Levaal is facing the final battle in this ages-old war between worlds and forces more ancient than any human, god or dragon. World's End by Will Elliott will hit book stores on March 22, 2016.